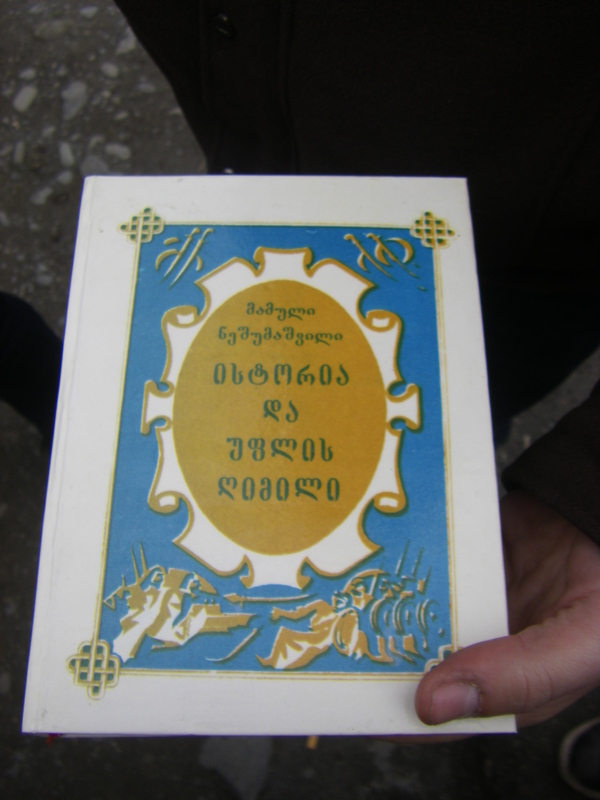 In late Febuaruy, we (the Sayat Nova Project) got on a marshutka headed for the town of Kvareli. 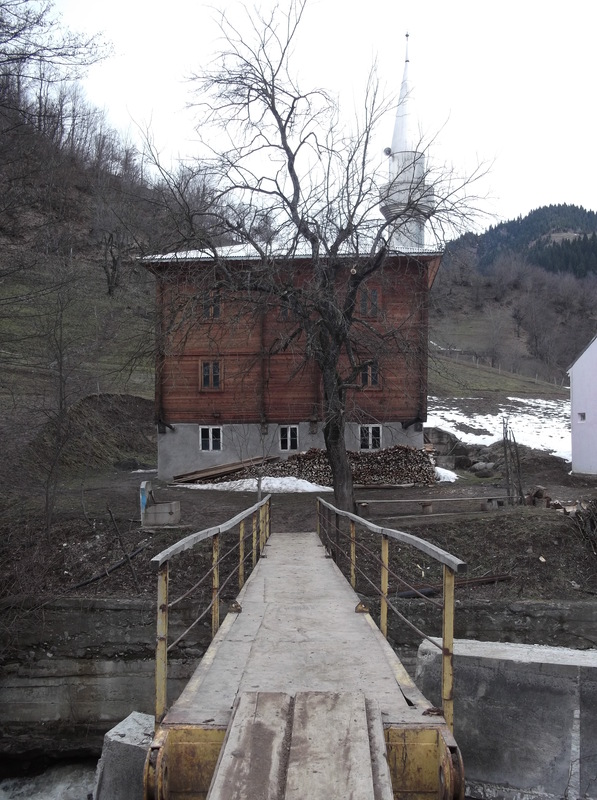 We’d heard that a small village called Zinobiani just outside the town had a small population of Udi, a Christian people who are descendants of the early Caucasian tribes of Azerbaijan. To prepare for most of our recording sessions we’ve been really careful to make as many contacts as possible and to do a lot of research beforehand so we have some idea as to exactly what and who we’re looking for. In this case, we couldn’t make any contacts because no one we asked had ever heard of Zinobiani, or for that matter, the Udi people and although we searched and searched, we found only a few examples of Udi music. So, we decided to wing it and just head out to Zenobiani and see if we could find any musicians. I’m not exaggerating when I say that almost everywhere I’ve been in the country of Georgia has been incredibly beautiful. 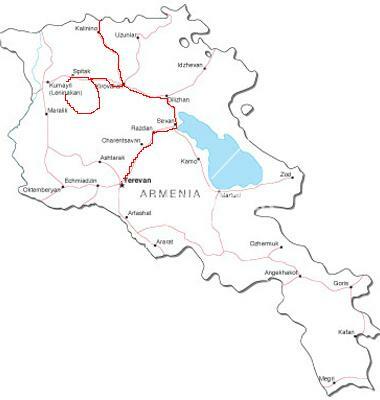 Achara, Kazbegi, Algeti, Gardibani, Kutaisi, you name it. 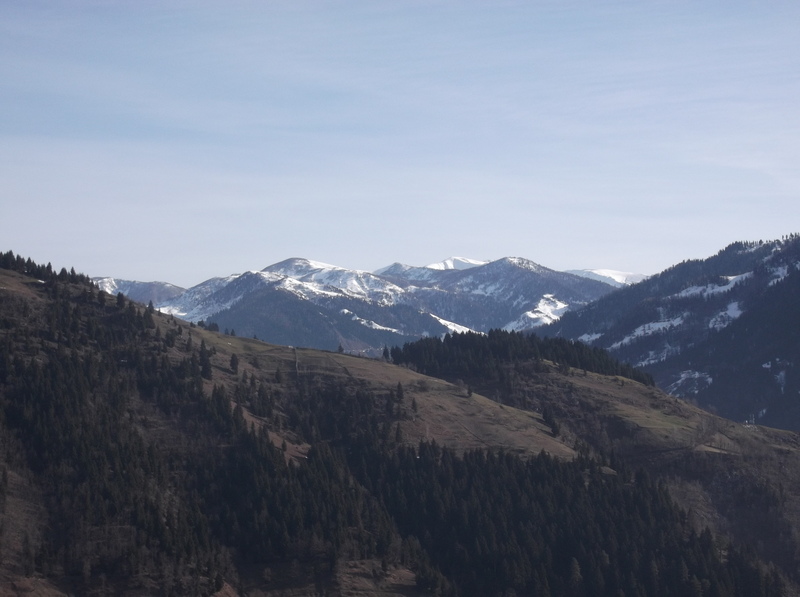 Each region has its own unique landscape, whether its snow capped mountains, tropical forests, rolling green hills, or craggy desert rock formations. But as we sped toward Kvareli in the packed marshutka, the towns and villages we passed looked like shots from a black and white film that couldn’t be kept in focus. To my left and right, everything was a different shade of grey or brown, each town lifeless and full of fog. So we stayed in the van and drove back out of town. Foggy fields to our right, foggy fields to our left. After about 10 minutes, we slowed down, took a right, and stopped on a thin road with a few stone houses on either side. 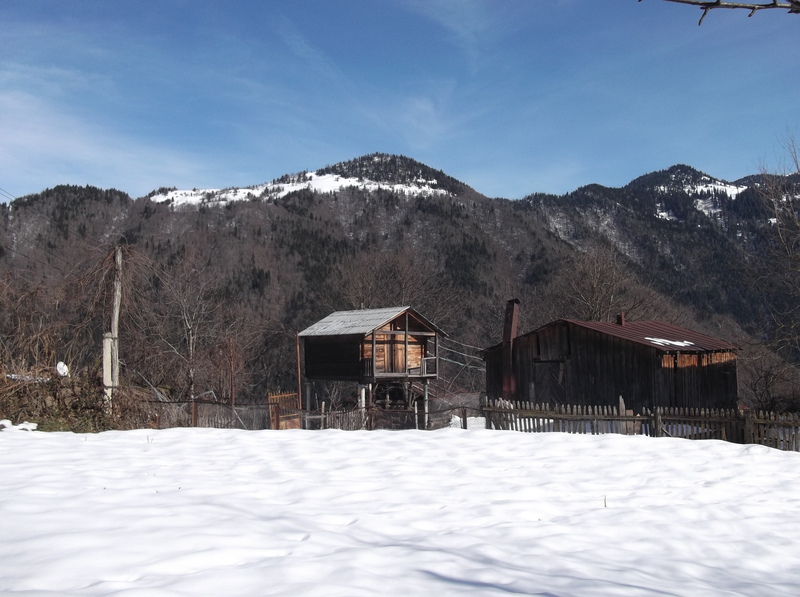 We had reached Zinobiani. 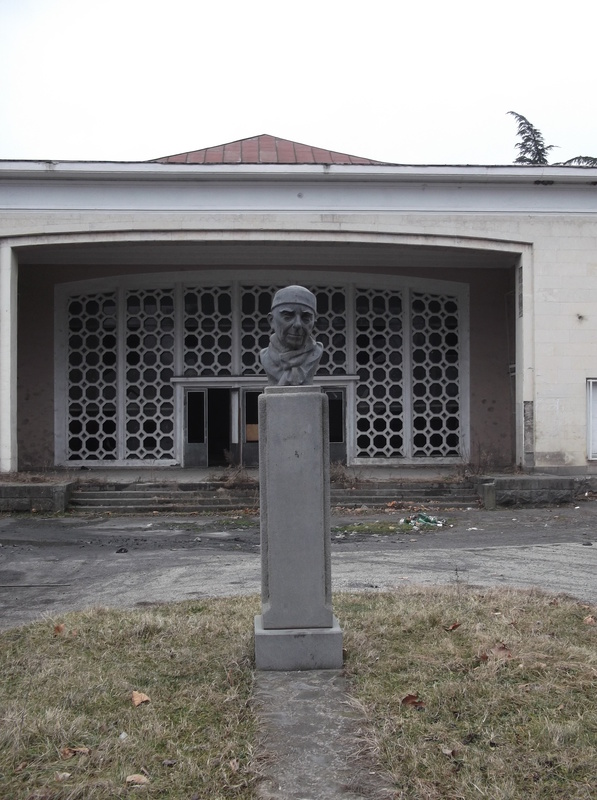 The school in Zinobiani houses a museum (Here’s a great set of photos of it taken by Georgian photographer Sandro Shanidze). Its dedicated to preserving the Udi language and culture but unfortunately for us, it was closed until May and its director was out of town. So we had no option but to walk around asking people if they spoke the Udi language and if so, did they know any songs? Unfortunately, our driver did not help. So we asked her name (Olia), told her about our project, and she agreed to sing for us at her home at six that evening. 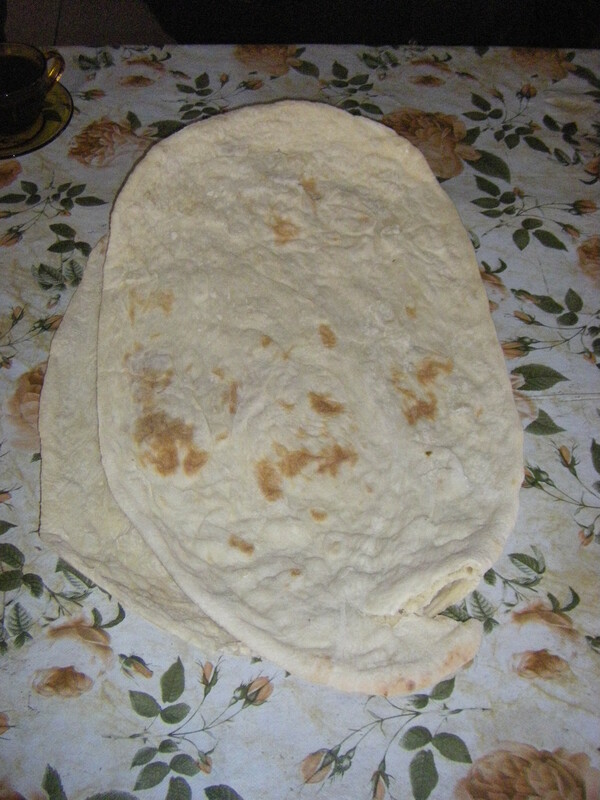 And in the meantime it turned out that, although our driver was a bit heavy handed, he was perfectly happy to take us to his mother’s house and show us how Udi bread is made. 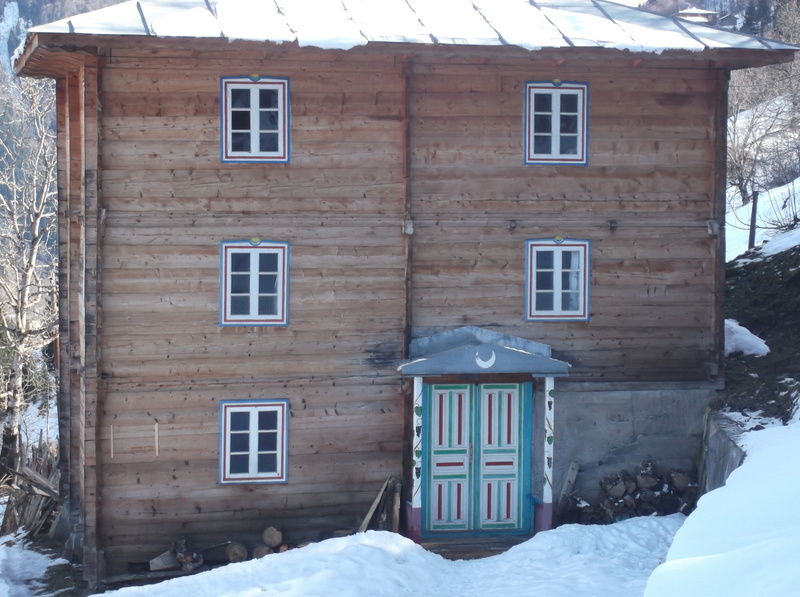 And after getting all our accomadation settled in nearby Kvareli, we returned to Zinobiani that evening. We weren’t sure where Olia lived but assumed that given the size of Zinobiani, it wouldn’t take us to long to find her home. We passed a man burning a large pile of hay on the side of a dirt road and he told us “keep going straight, then take a left”. At that corner we passed a man chopping wood in his yard and he told us to “go straight and its the last house on the right”. 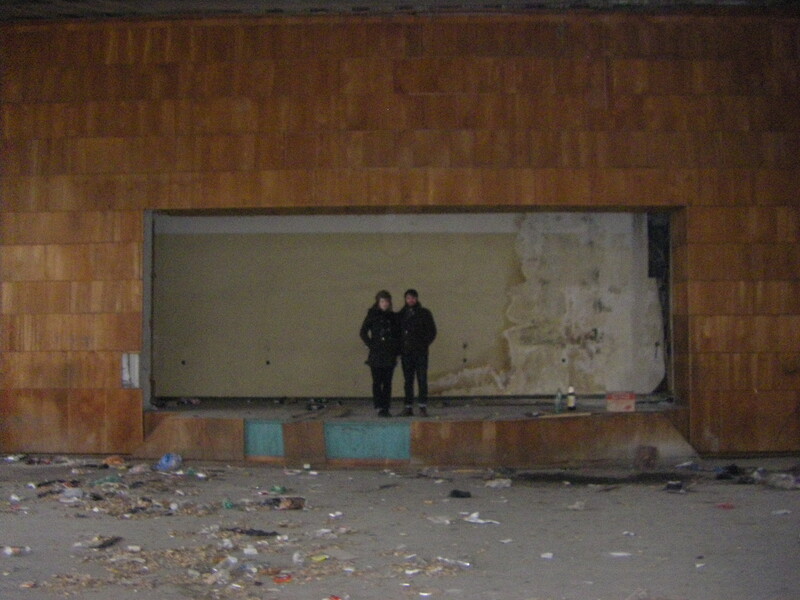 But then he said to us “Ah, you’re the Russian ethnographers! 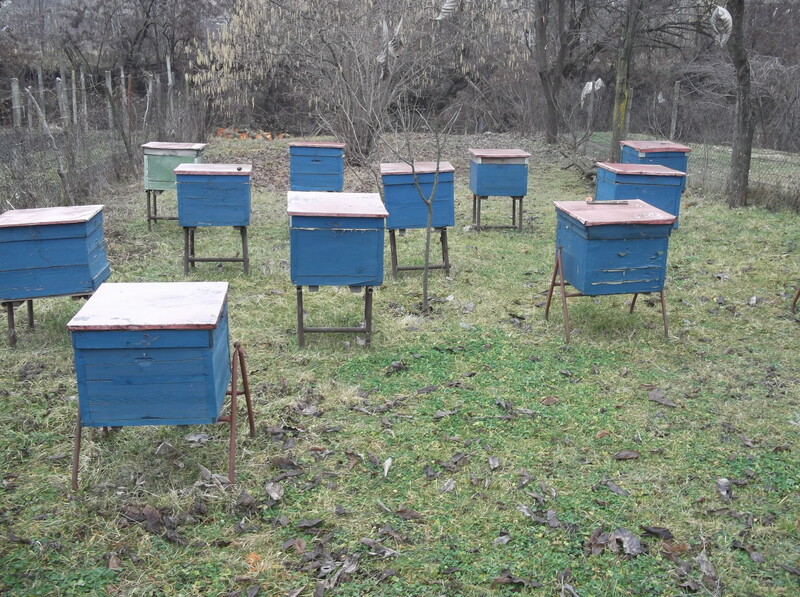 Welcome back.” It turns out that during the Soviet Union some anthropologists had interviewed Olia about Udi folklore. This was in the 70’s. Forty years ago. Either this man was a little crazy or time passes in a very peculiar way in Zinobiani. 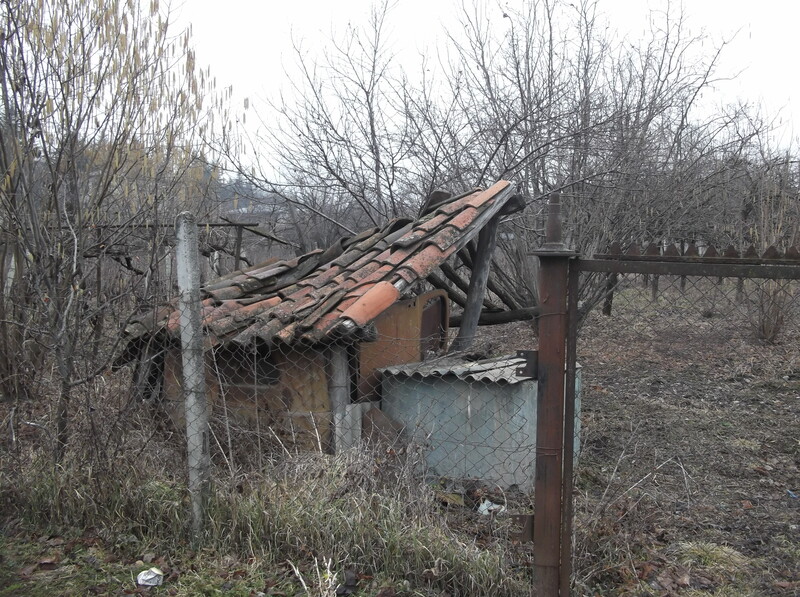 We found Olia’s house, a two story stone building with a muddy yard. She greeted us at the door and we sat down together at her kitchen table at one end of a narrow room. Her sons and grandchildren were sitting around the wood-fire stove at the other end, watching TV next to the stove and talking loudly. (Grandchildren have quickly become The Sayat Nova Project’s worst enemy. We record many elderly musicians and there is nothing worse than when our subject is just about to complete a beautiful, unique piece of music and their grandchildren scream, hit someone, break something, or knock over our equipment, essentially ruining the recording). Olia was a fantastic host and excellent story teller. She was shy to sing initially and spent almost an hour talking to us about the history of the Udi people, reciting poems, telling folk tales, and explaining different marriage traditions (when an Udi women first enters her new home after being married, she breaks a plate on the floor). She also told us some of her own history, how she had moved to Georgia to be married in Zinobiani when she was young, how she still has some family living in Azerbaijan. Anna is still working to translate our hour long conversation from Russian and I will post it as soon as it is finished. Eventually, Olia sang two songs for us. We were able to make video and audio recordings but this was a very lively room and they are a bit noisy. Still, we are really happy with the examples. 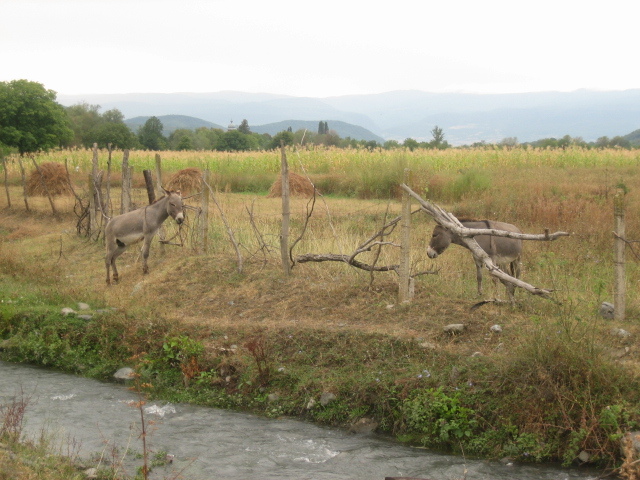 There are an estimated 200 Udi people living in Georgia, all of whom reside in Zinobiani. 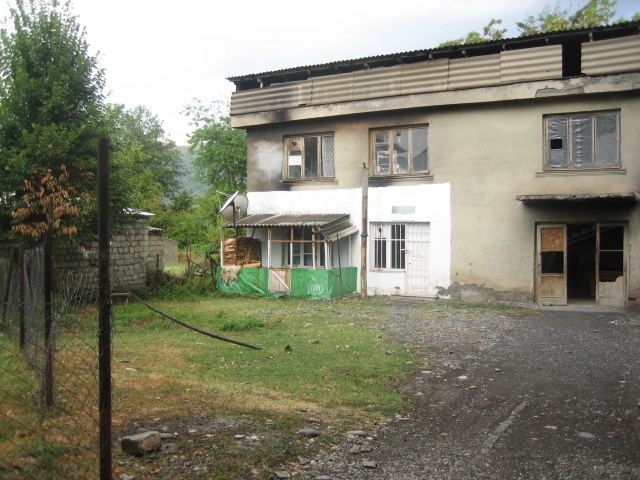 We hope these aren’t the last examples of Udi songs recorded in Georgia, but given the dwindling population of the town and the decreasing number of people who speak the language, this is a definite possibility. Here’s an audio example a and a couple videos. 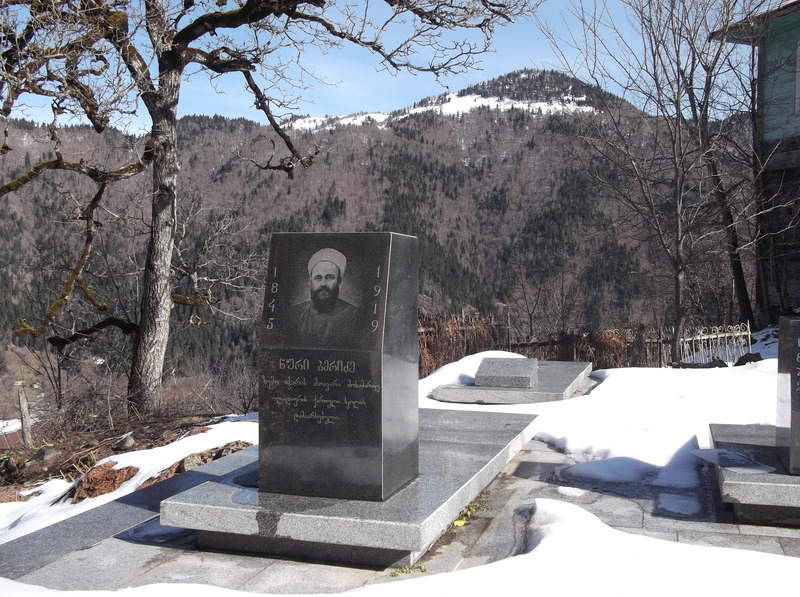 Essentially, Bunitov believes that the Armenian churches in Karabakh are actually Albanian. One of our project’s aims is to use culture as a way of overcoming conflict, so I don’t want to emphasize the use of the Udi in these “History Wars.” I just find it incredible that the diversity of culture in the Caucasus can be utilized in so many ways, both good and bad. If you are interested in this particular topic, Here is a video that was aired on Azerbaijani television in 1993 explaining this interpretation of the Udi peoples place in the history of the Caucasus. 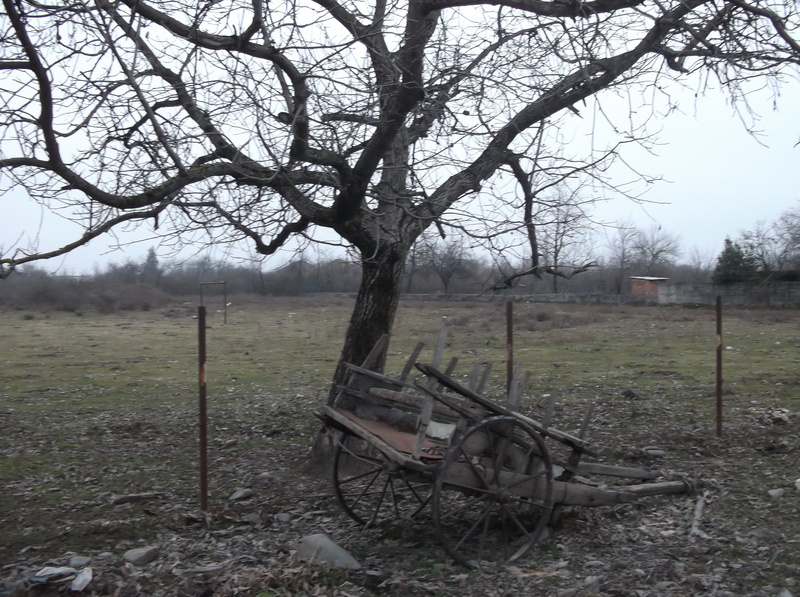 I should emphasize that we at the Sayat Nova Project do not support or agree with all of the historical interpretations presented in this film, but it contains some footage of Udi folk songs and rituals. Stefan and I are heading out to the town of Oni, in Racha in just two days. More updates to come! The Sayat Nova project has had a very productive week. 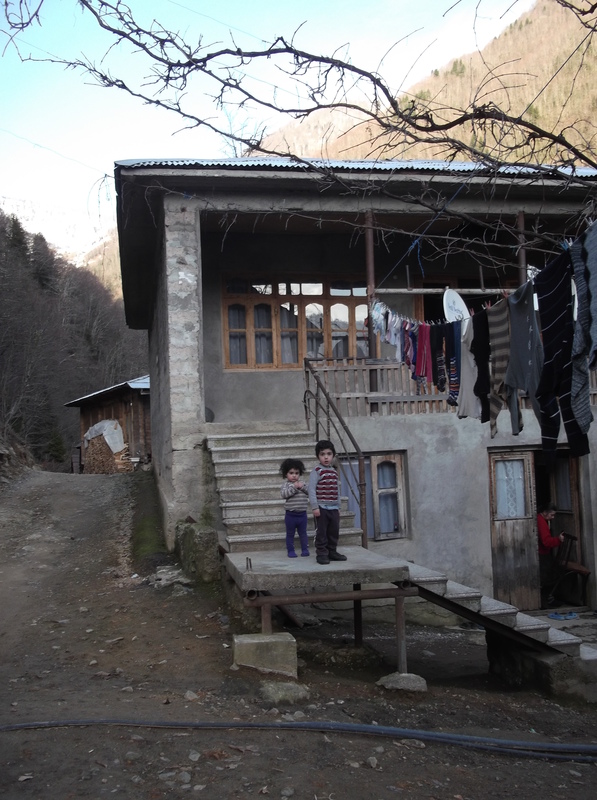 A few days after I returned from Achara, Stefan, Anna, and I headed out to the village of Zinobiani in North-Eastern Georgia and recorded Udi music. 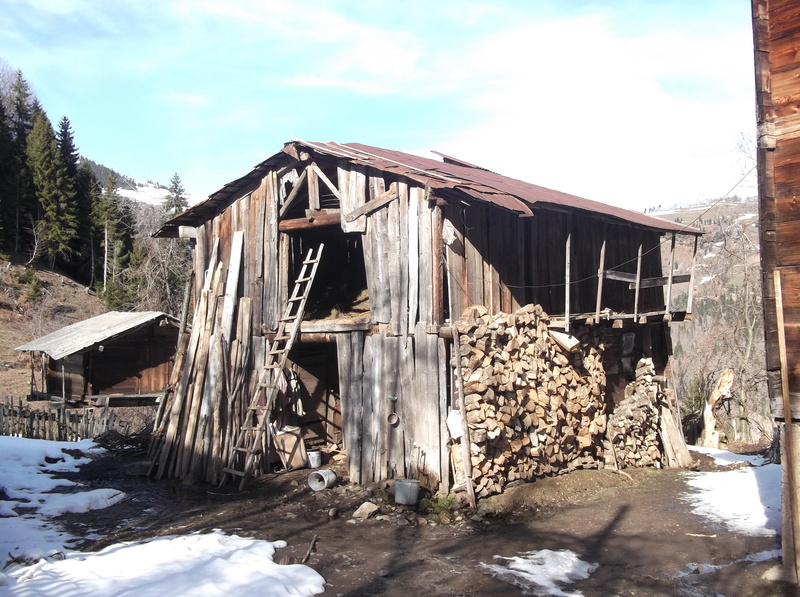 (We’ll update you on this trip soon – Anna has a long Udi story to translate, as well as some information on the marriage rites of the Udi people). A few days later our good friend Erekle Qeshlashvili, a painter who specializes in Georgian Orthodox icons, invited us to visit his icon studio and meet his friend Abbas. Abbas turned out to be an incredible musician who had studied classical Persian music in his home country of Iran. Abbas is from Tehran but lives and works here in Georgia- He plays violin and Oud in a Iranian restaurant in the old city. We met with Abbas twice, once in the Erekle’s Icon work studio and yesterday he came to our apartment to drink some tea and help me repair my Oud. 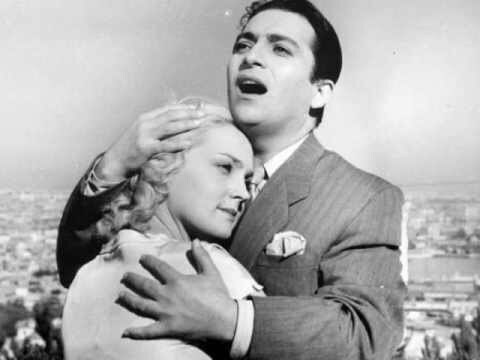 After further research, Rashid Behudov seems to be the pop singer version of Sayat Nova. He lived in all three of the major cities of the south Caucasus, he sang in Azerbaijani, Russian, Persian, Turkish and he toured all over the world: Iran, Turkey, China, Japan, Argentina and India where he performed in Hindi, Urdu, and Bengali! Rashid Behudov was made famous by his role in the film “Arshin Mal Alan.” He played a rich man who disguises himself as a cloth peddlar so he can enter the cities’ courtyards and look at pretty women, in the hopes of finding a bride. 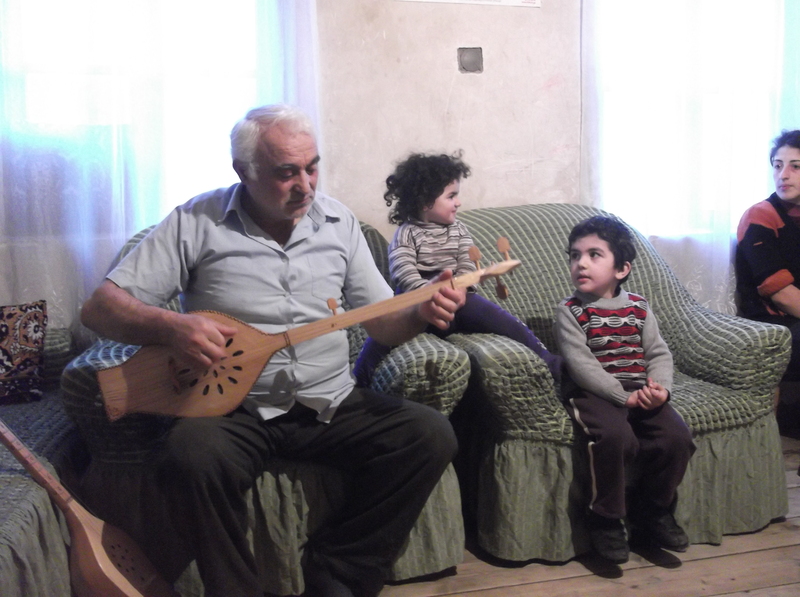 In addition to introducing us to Rashid Behbudov and discussing the culture of the Caucasus with us, Abbas also allowed us to record him playing multiple improvised tunes on his Santur. I’ve posted some videos and another streaming track below. Just returned from a trip to Achara and I have some great recordings, a lot of pictures, and a couple of interesting stories. 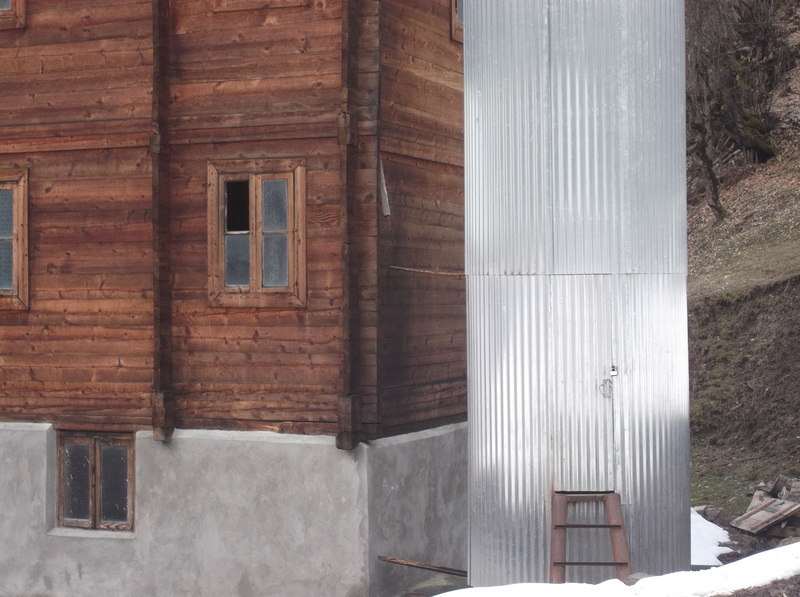 I visited two cultural centers, a few schools, and several extremely remote villages. 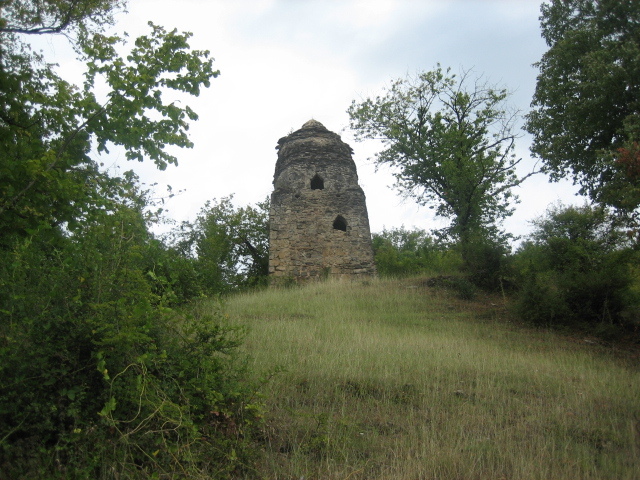 Achara (sometimes spelled Ajara) was conquered by the Ottomans in 1614. 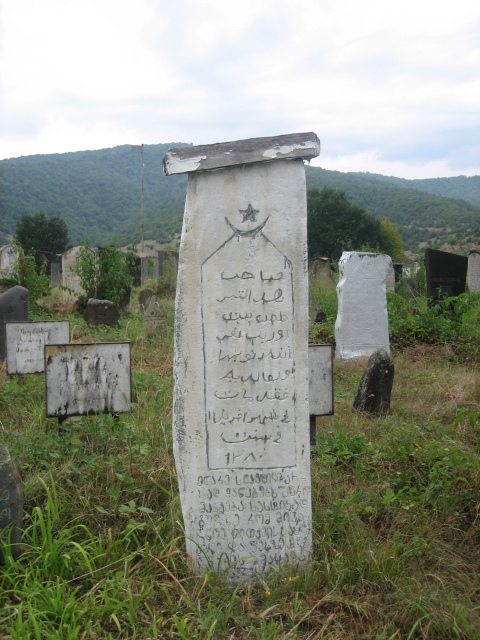 During this period the people of Achara converted to Islam. 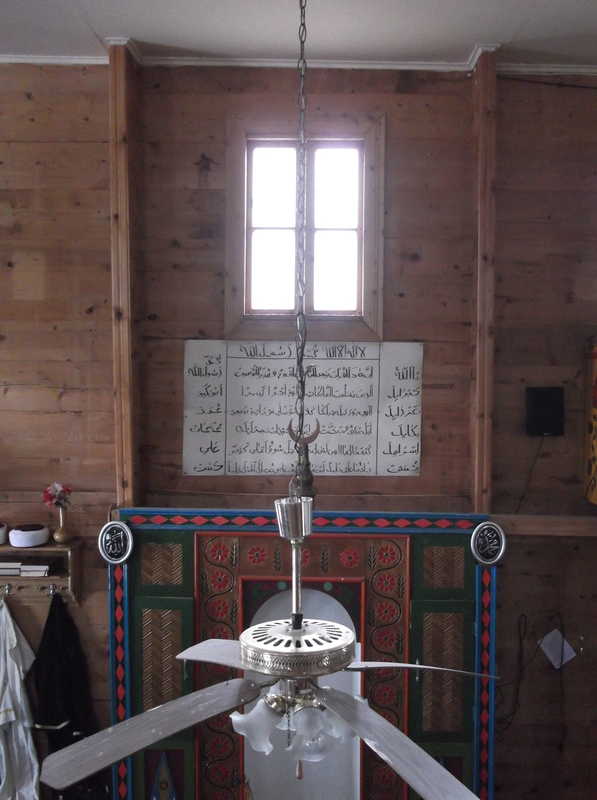 Currently, 30% of the population are still Muslim and there was a mosque in almost every village I visited. That might explain the attire of the man pictured on the gravestone in the first picture and the crescent moon above the door in the second. But more on that later. I visited the school and met with the music teacher. 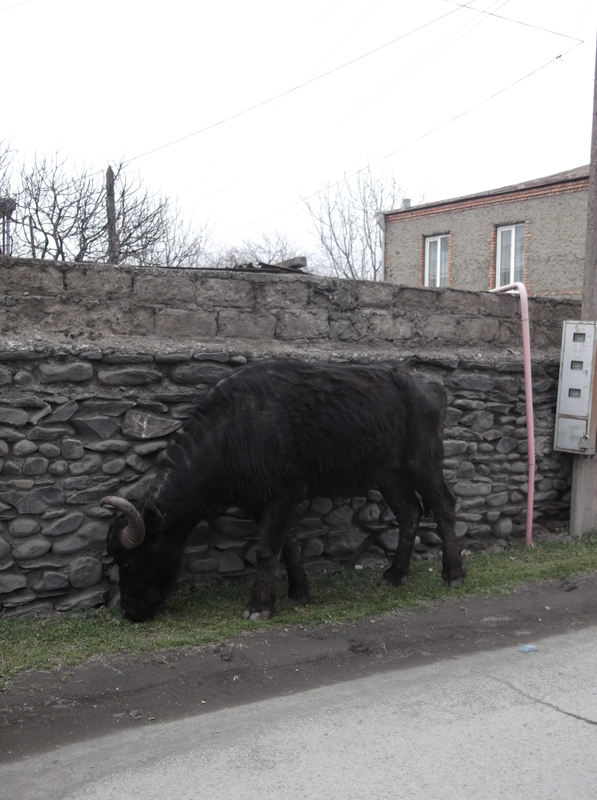 He told me there were many good musicians from the village but they’d all moved to Batumi for work. He was eager to help me and recruited a couple of the local musicians that remained to play for me. They performed some instrumental music for me on Panduri and Salamuri. When they’d finished, the music teacher ran outside to gather some more singers. After these great performances I headed back to Shuakhevi. One of the most instructive things I’ve learned about living in Georgia is that you have to know someone to get things done. If you know just one person, they will know twenty more and one of those people will either know the person you’re looking for directly, or have some idea of how to find them. 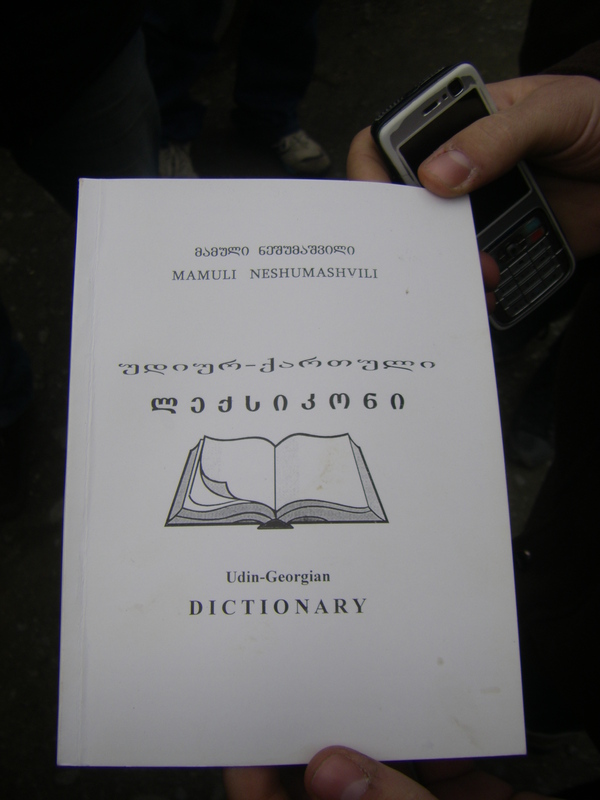 Case in point: I told my Georgian language teacher at the conservatory that I was traveling to Shuakhevi. She called her colleague who is from the region and it turned out that his brother is the chief of police in Shuakhevi. 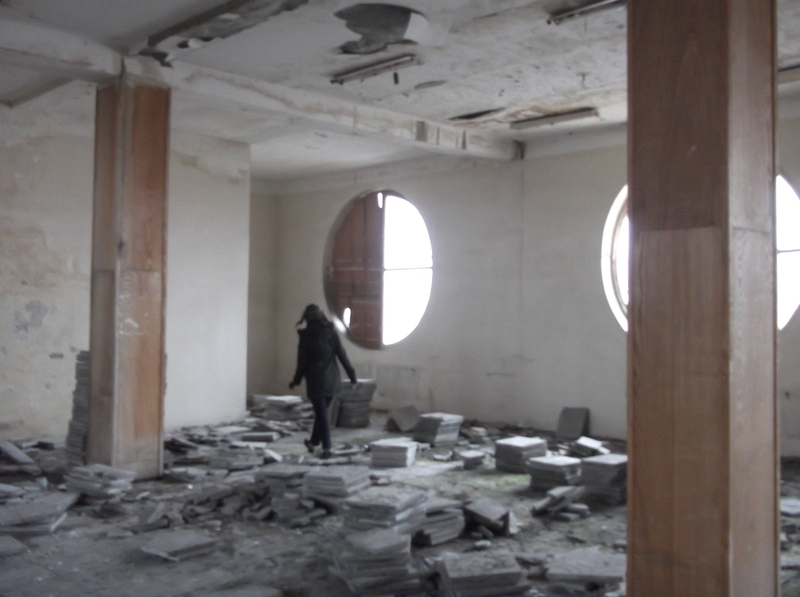 I called the policeman once I reached the town and he took me to the cultural center to meet with the director. I explained that I was hoping to record any musicians but was particularly interested in instrumental chonguri music (I’m hoping to write a paper for my conservatory studies on variations in traditional performances of Acharan chonguri music). They made some phone calls and soon Ramaz Davitadze arrived. Looking the part of a dapper Georgian country gentleman, he strolled into the room with his Panduri in hand, greeting me happily and was eager to discuss traditional folklore with me. 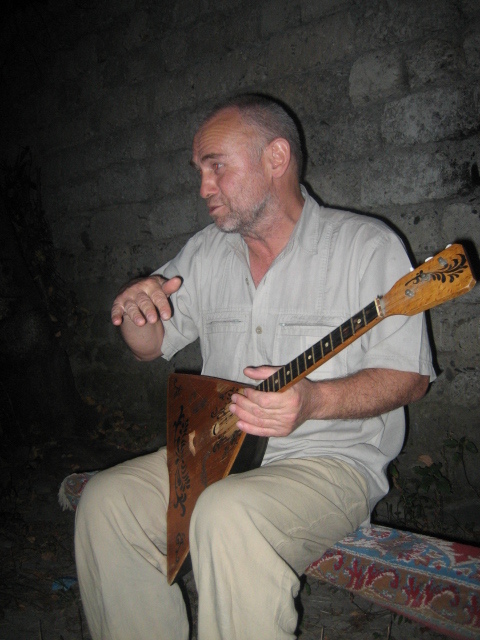 He had studied music in Batumi and was a member of Shuakhev’s Folk ensemble. During the next few hours I had some great conversations with him and we were able to share different variations of chonguri songs with one another. He was one of my favorite people I’ve met while living in Georgia. 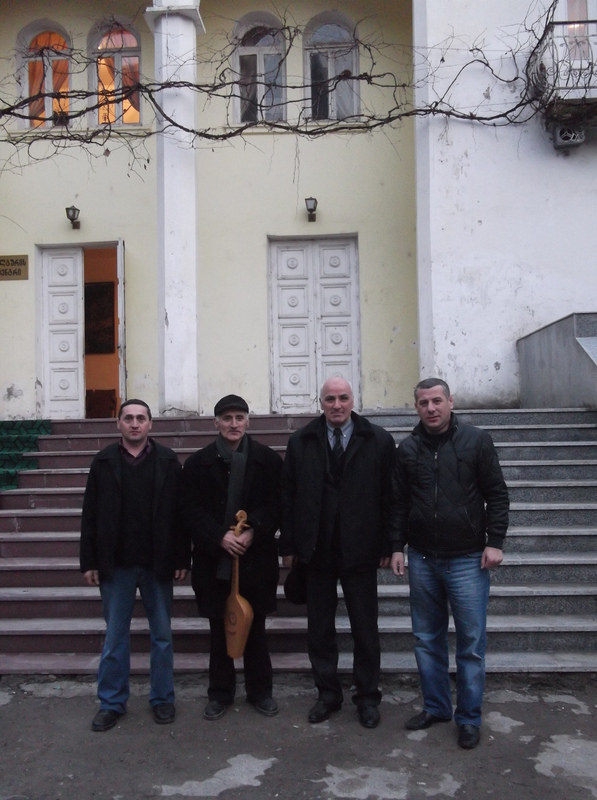 Later, I had lunch with the director of the cultural center, Avdantil Bolqvadze. We spoke about the people of Achara and its atmosphere of religious tolerance. Avdantil explained that Christians and Muslims live and work together and seemed almost surprised that it could be any other way. 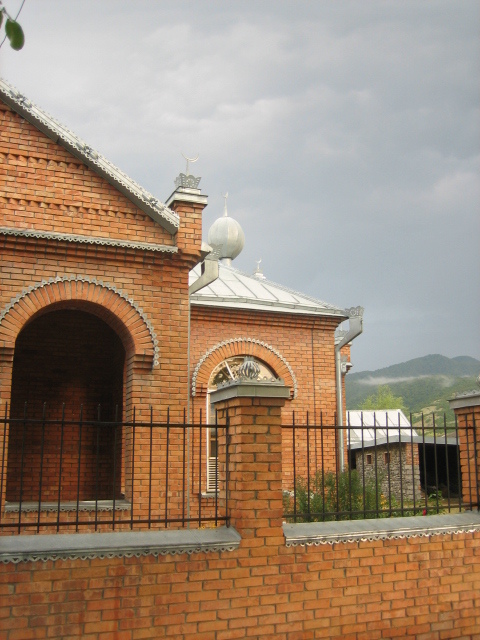 Khulo has both a mosque and a church, located relatively close to one another. 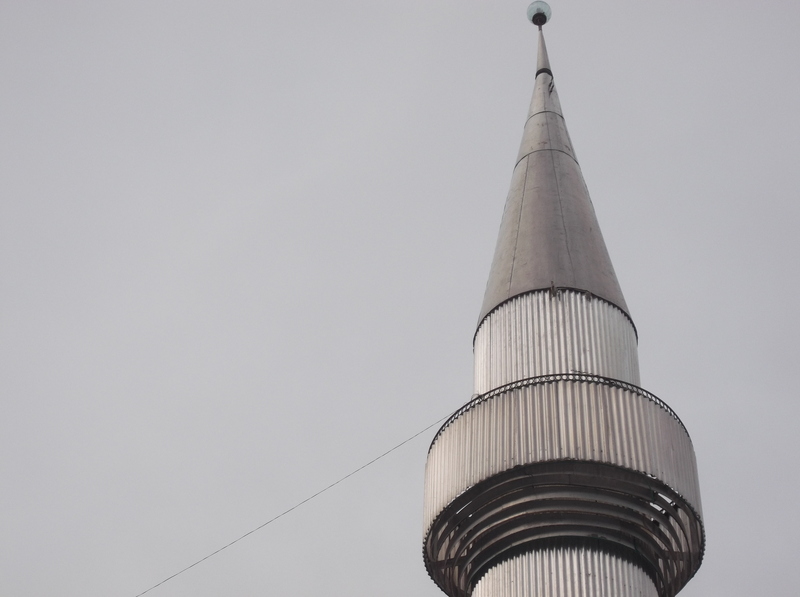 If you spend enough time in the town center, you might have the opportunity t0 hear both the call to prayer and church bells sounding simultaneously. I was obsessed with taking pictures of mosques during this trip, first because I think it’s an unique and interesting aspect of Acharan history and daily life, and second because they vary significantly in size, age, and building materials. 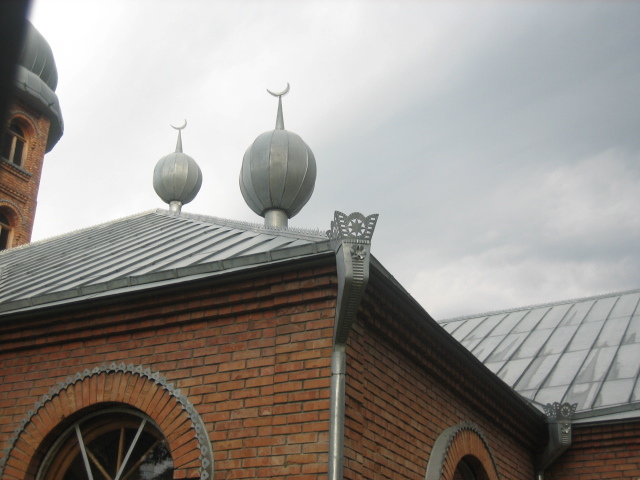 My favorite was the mosque in the town of Iramadzebi. 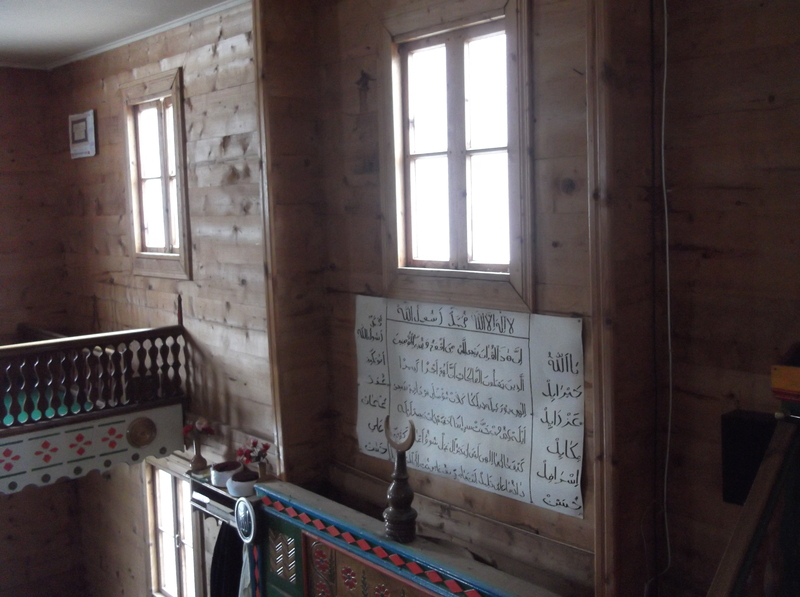 It’s a completely wooden building, with the exception ofthe prayer tower which is made of some kind of tin. Overall it was a very successful trip. 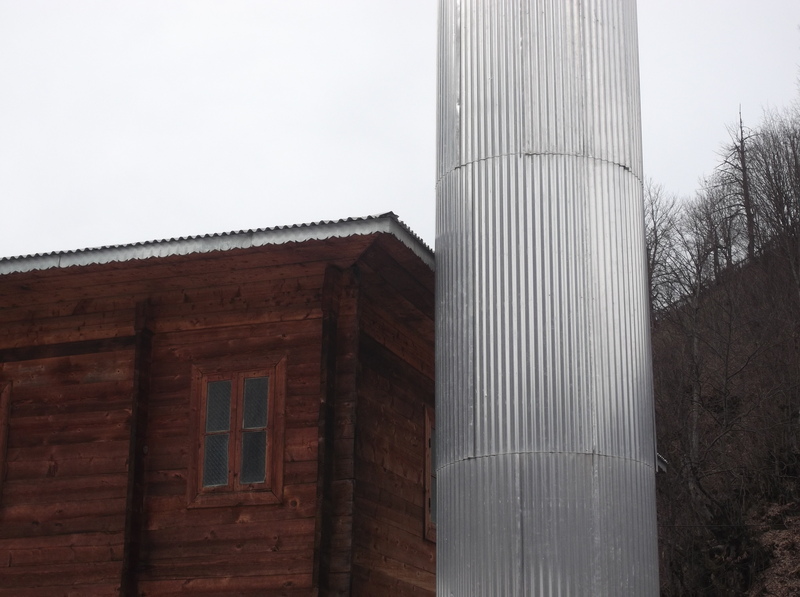 The Sayat Nova project is planning to head back to Achara sometime in May. I have more pictures, recordings, and footage, but that will have to wait until we finish building the website for the Sayat Nova project. Our kickstarter is still up and running so please share this post and help us to continue to promote it! This week marks the beginning of a new project I’m starting along with my friends Anna Harbaugh and Stefan Williamson-Fa and with help from the Tbilisi State Conservatory and the Union of Kurdish Youth of Georgia. Since I started the blog and came to Tbilisi, I’ve been posting mainly about trips to record musicians around the Caucasus. The Sayat Nova Project will be a extension of that, and more. We are currently fundraising to build an interactive website that will host our recordings, along with other audio examples and articles, using an interactive map. The map will display the different examples by using ethnography, as opposed to political borders, as a means of illustrating the diversity of cultures in both the North and South Caucasus and in order to de-emphasize conflicts of nationality. This region has proven extremely susceptible to inter-ethnic tensions, particularly in the aftermath of the fall of the Soviet Union. As a consequence of this strife, much of the research and resources in the region have gone to understanding the causes of inter-ethnic violence and promoting integration. Meanwhile, efforts to study and record the music of the region tend to examine the unique national characteristics of music, as opposed to an encompassing study of the region’s musical dialects, which are as diverse as its many languages. We chose Sayat Nova as the symbol for our project because of his unofficial title “The Bard of the Caucasus.” A musician, poet, and polyglot who wrote in Armenian, Georgian, Azerbaijani, and Persian, he is a great symbol of the cultural diversity that exists in the Caucasus to this day. 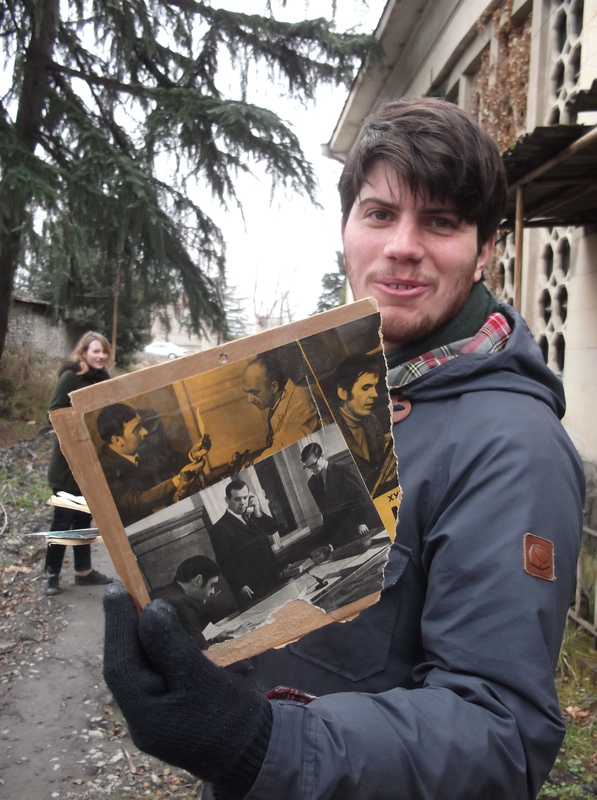 We are particularly lucky to be currently working and studying in Tbilisi. In addition to figuring as the geographic center of the Caucasus, Tbilisi is renowned for its status as the most culturally diverse city in the region. 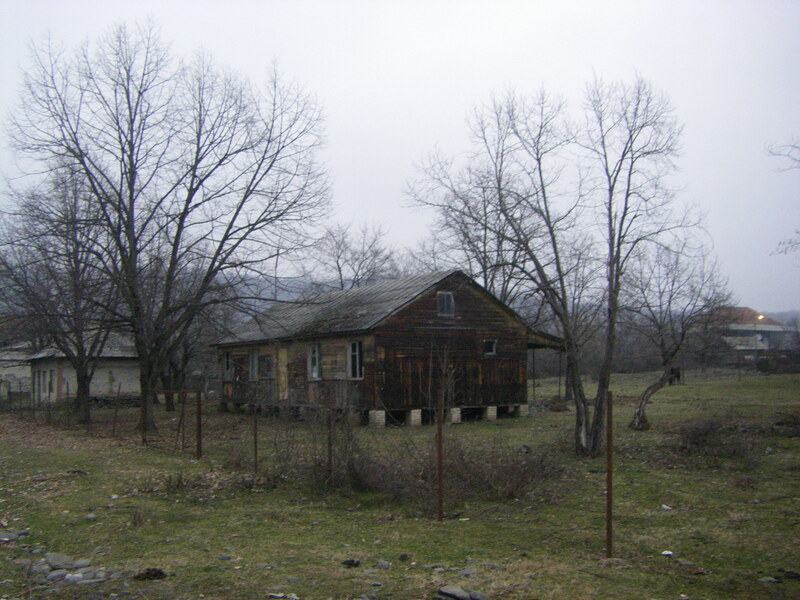 Historically, it has been home to large populations of Armenians, Azerbaijanis, Kurds, Jews, Turks, and Persians—as well as Georgians. We live in Tbilisi, and the proximity to these different groups has already presented us with opportunities to record and interview Georgians, Kurds, Azeri Ashiks, Chechen refugees, and Kist people (Chechen’s who immigrated to Georgia after the fall of Imam Shamil in the 1870s). 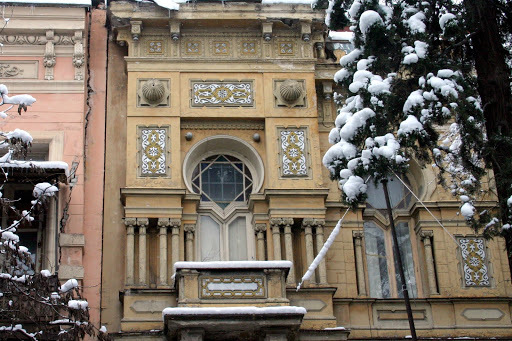 With the Sayat Nova Project, We’re hoping to create a resource for anyone who’s interested in the music of the Caucasus and to include the input of academics and enthusiasts from every country in the region. 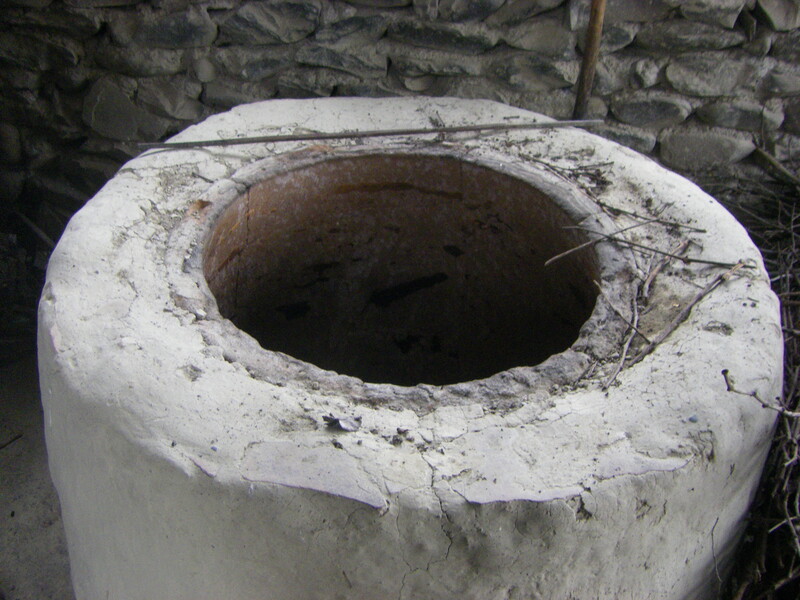 I’ll be posting updates here on the blog as well as on our facebook page: facebook.com/SayatNovaProject. 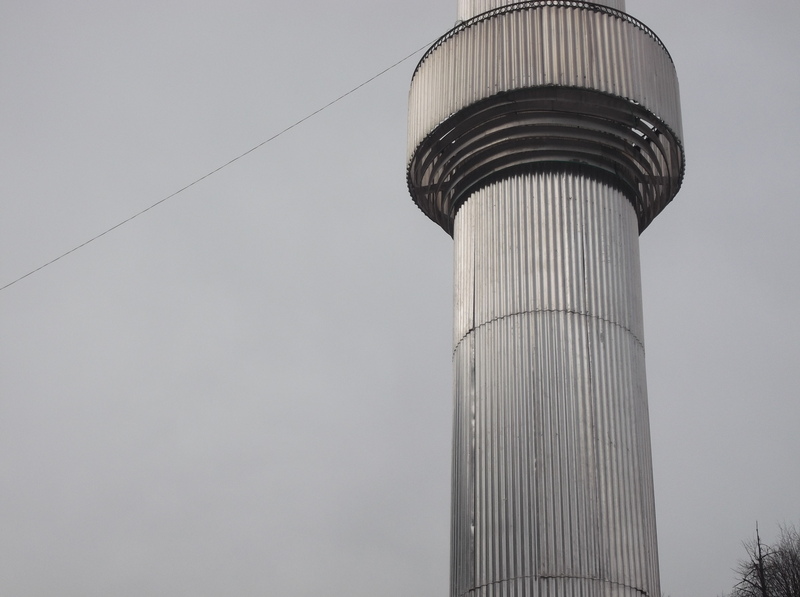 I will continue to update this page with the locations of our recording sessions as well as the status of the project. 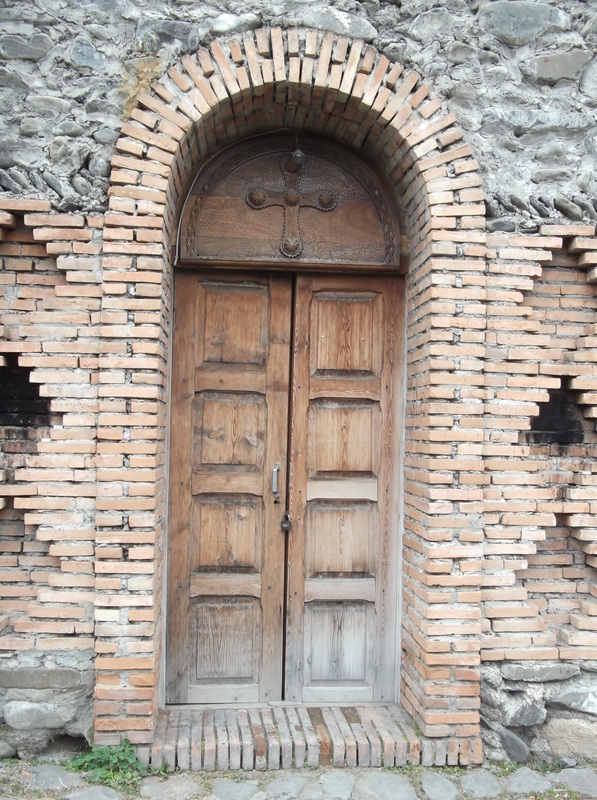 Anna Harbaugh (my girlfriend and a speaker of Russian), Stefan Williamson-Fa (my friend and fellow ethnomusicology enthusiast), and I took a bus 45 minutes south of Tbilisi to a small city called Marneuli. 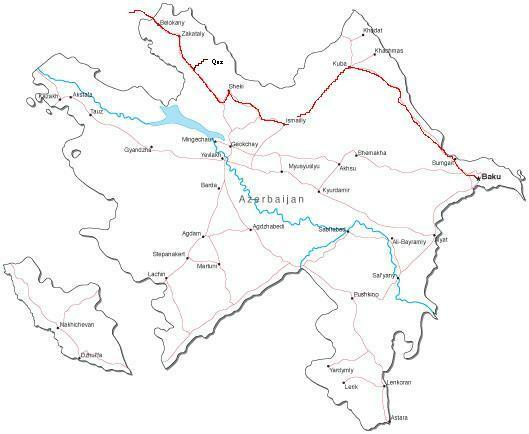 The city is the center of the Azerbaijani population of Georgia (83% of the population are Azeri).We had a contact named Zaur who knew of a small village outside of the city where an elderly Ashig lives. Simply discussing the correct spelling of this term gives you some idea of its trans-Caucasian nature and this figure’s importance to the different peoples of the region. 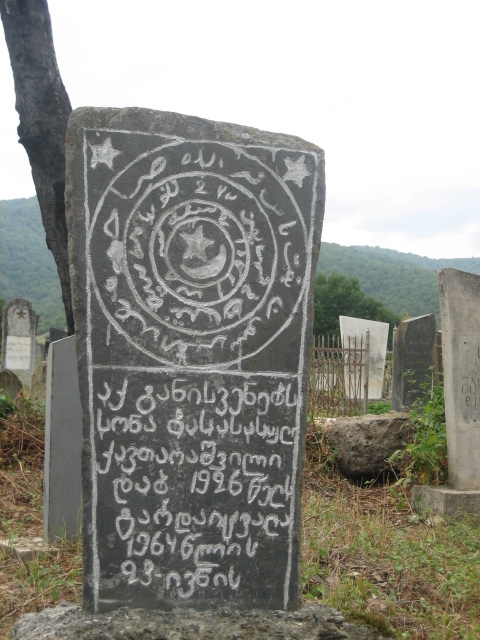 It has six spelling, not including the English: Azerbaijani: Aşıq, Turkish: Aşık, Persian: عاشیق‎, Armenian: Աշուղ (ashugh), Georgian: აშუღი (ashughi). In western terms the position this title denotes is the equivalent of a bard or a troubadour: someone who incorporates playing, singing, and poetry. In Tbilisi’s old city there is a monument to Sayat Nova, the Bard of the Caucasus, which in Georgian reads: თბილისის დიდი აშუღი (directly translated: Tbilisi’s big Ashig). 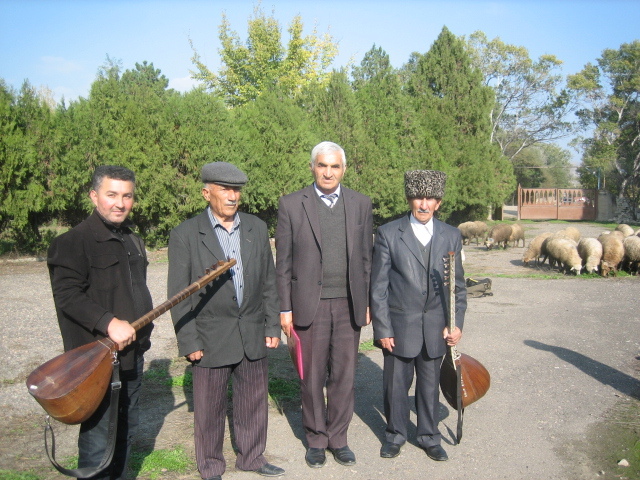 In Azerbaijan, the classical repertoire of Ashiqs “includes 200 songs, 150 literary-musical compositions, nearly 2,000 poems and numerous stories.” Ashigs play the Azeri saz, an instrument distinct from the Turkish saz due to its larger body, its playing style (held horizontal against the chest), and brighter tone. 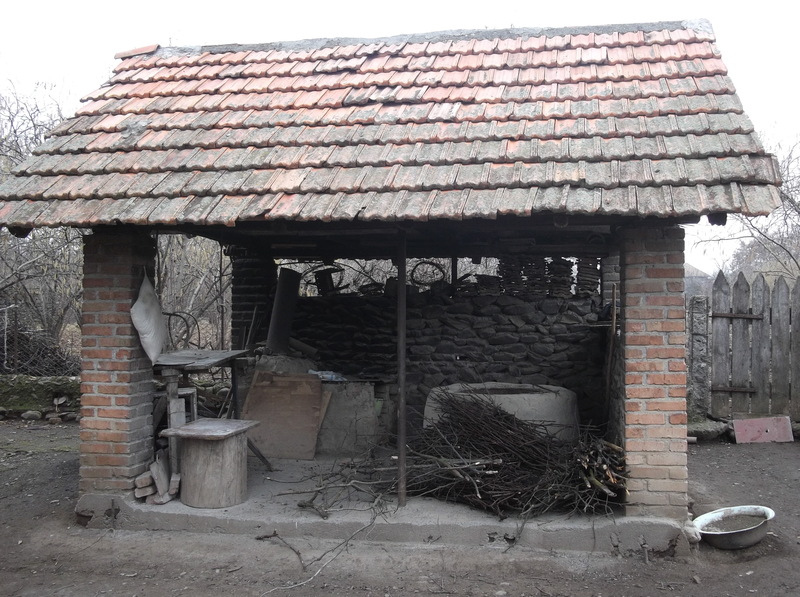 Upon arriving at our destination–a three way intersection of scrubby grass and road–we learned that the cell number we’d been given by Zaur didn’t work. We loitered around discussing our next step until we saw a tall, lean figure in a black suit approaching us from down the road. We knew not to expect the ethnomusicologists dream session: Azeris in sheep skin hats and traditional dress playing songs unchanged for centuries, without a sign of western influence in sight. But still, we didn’t expect our Ashig to be dressed like an businness man. He turned out to be the representative here to meet us and introduce us to the musicians. 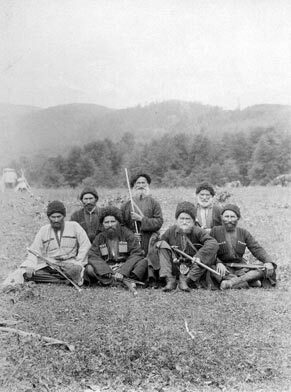 Behind him, carrying a large instrument case and wearing the traditional grey woolen hats of the Azeri Ashigs, was Ashig Garib. Garib was born and raised in Algeti. He is 75 years old and has been playing since he was in his late teens. Not only is he a venerated performer (he carries in his wallet a photograph of a certificate from the Georgian government, signed by Misha himself, in which he was declared a national “cultural landmark”); he had also succeeded in pretty much single-handedly replacing the region’s only music school, acting as mentor and teacher to all of the region’s many ashigs–some of whom we were soon to meet. Garib, as far as we could tell, spoke no Georgian and very minimal Russian which was so accented it was incomprehensible to us. We quickly set up our microphones, cameras, and video equipment out in the front yard of a boarded-up community center and Anna started interviewing the representative (who we began calling “the mayor” because of his nice suit, white hair, and omniscient air). 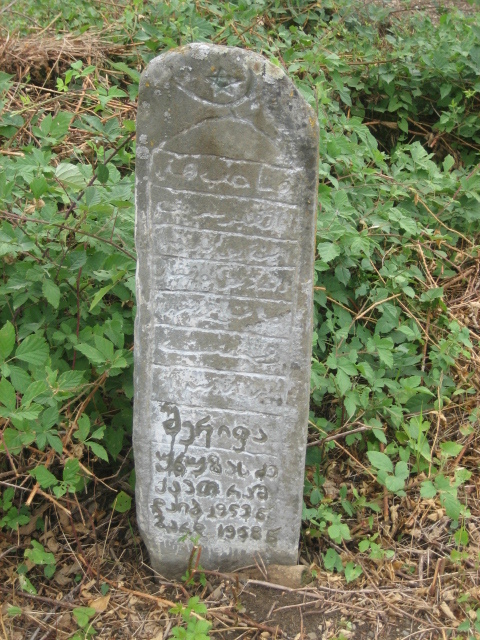 Ashig Garib slowly took out his Saz, which was beautifully ornamented and engraved with his name and title. Unceremoniously, he started in on his first song, while curious groups of older men from around the village began strolling over from across the fence. The mayor said he was playing “Melodia Dastana,” which is a genre of Ashig music that involves the narration of heroic deeds or love stories. Unfortunately, Aleskar had a soar throat and wasn’t able to play for too long. While we were off to the side asking the mayor more questions, one of the men picked up Aleksar’s saz and started fiddling with it. It looked like he was having trouble tuning it and it also appeared he’d just wandered in with one of groups of men so I incorrectly assumed he wasn’t an ashig. But then he started playing. His performance incorporated all the different aspects of the Ashig art: virtuosity on the saz, passionate singing, and the recitation of poetry. The five seconds between 1:43 -1: 48 in the video below were my favorite part of the entire day; this guttural, rhythmic ornamentation in time with his saz playing united all of the interesting aspects of this tradition into one little moment. Rolan and Ashig Gymbat, the surprise Ashig, disappeared as soon as we were finished recording them. We were left sitting in front of the community center with the mayor, Ashig Garib, Ashig Aleskar, and a friendly old man with a cap and mustache who had wandered over to watch. Oh, and a flock of sheep. During the last song about thirty sheep swept into the courtyard and started grazing. More posts to come sooner than later. 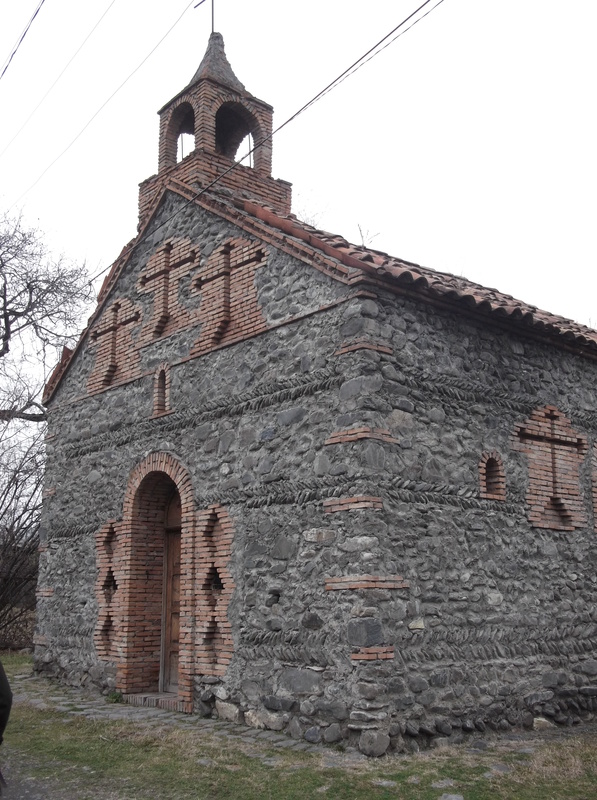 On August 29th, I traveled north-east from Tbiisi, through the cities of Telavi and Akhmeta, to Duisi. 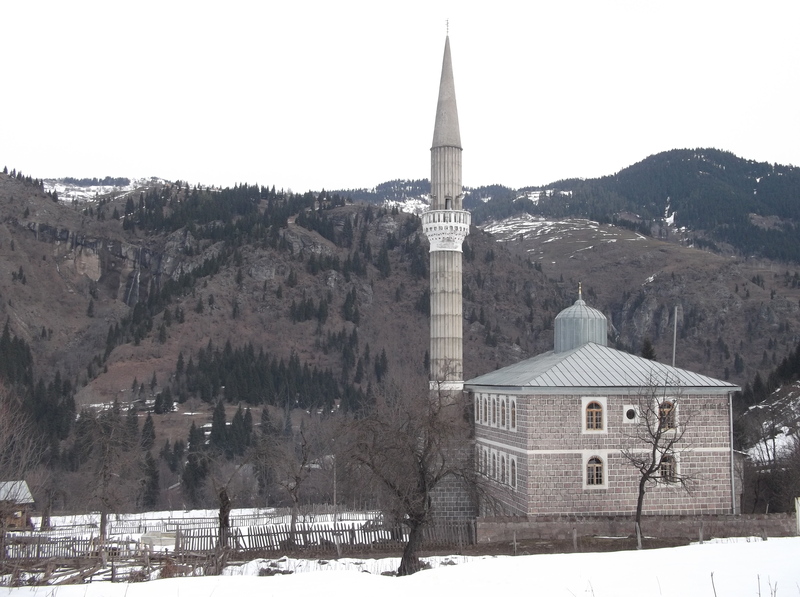 The town sits at the entrance to the Pankisi Gorge, a valley that borders the Chechen Republic. 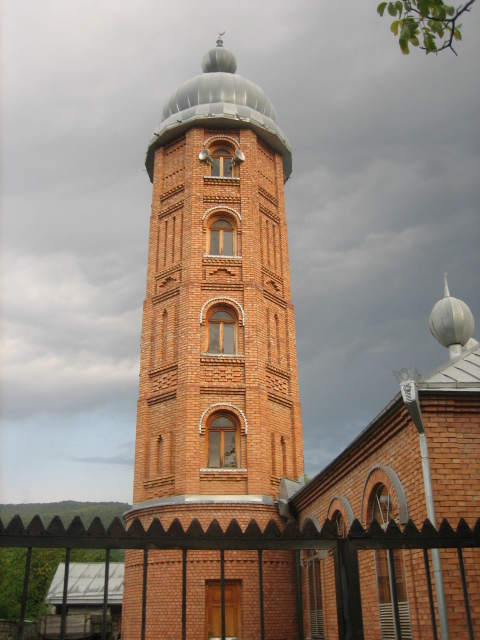 The inhabitants of Duisi and the surrounding towns are primarily Kist, a Sunni Muslim people who speak Chechen, Georgian, and usually Russian as well. 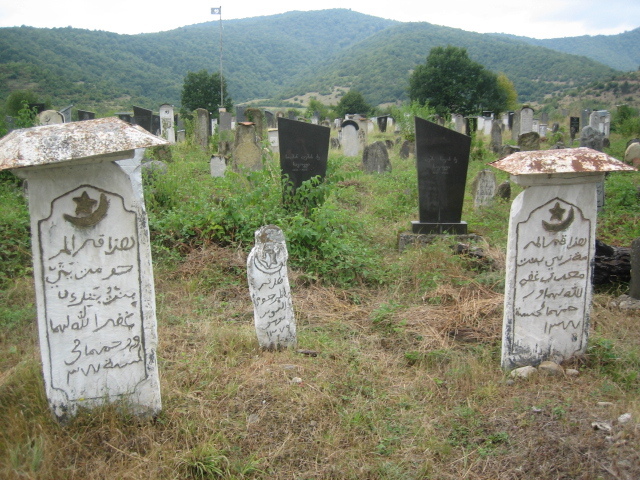 During the Second Chechen war, the Kists sheltered 7,000 Chechen refugees and now most towns in the gorge have a mixed Kist/Chechen population. Through the doorway on the right four men were smoking and yelling in the dark, playing a game on an ancient, dirty pool table. A short man with a shaved head and golden canines strode up to me and began to aggreseivly question me- “what do you want?”, “Do you have any presents for me?” This was Mysa, a fifty year old Chechen refugee who had moved here with his family from Grozny 10 years ago, after the Second Chechen War. Mysa was initially skeptical of me and in my broken Russian I tried to explain I was a student at the Conservatory in Tbilisi and simply wanted to hear some Chechen songs. He lifted up his shirt to show me a surgical scar running horizontally down his chest. “операция (operation)” he said, pointing to his throat, signalling to me that the procedure had made singing difficult. His pool hall buddies grew impatient with our conversation, went into his house, grabbed his guitar and balalaika, and spurred him into performing. Mysa was an talented performer who, despite his initial hesitations, clearly enjoyed his role as the town’s musician. He went on to play multiple songs on his twelve string acoustic. All except one were in Russia (the exception was in Georgian) and most sounded Western or similar to Vysotsky. One song stood out from the others. 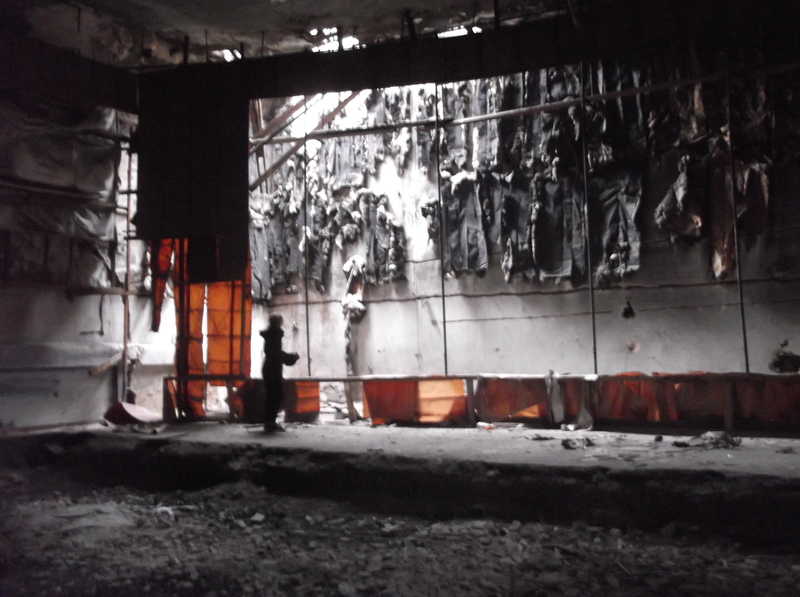 It was called “Chechen Night” and it’s tone was extremely theatircal, frightening, and political. The dynamic range Mysa exhibited during its performance made me doubts any claims that his ability to sing had been affected by surgery . From what I can gather from the lyrics (which is very little given me deplorable understanding of the Russian language), The song is a war cry, a narrative that describes the Russian’s attack on Chechnya and states that the people of Chechnya will rise up against Moscow. *I forgot to add this in the initial post: When I asked him where he studied Mysa stared at me for a minute, shook his head, and then mimed stealing the instruments, reaching out his arms slowly and pulling them in quick. ” I am a thief (vor),” he said. The title of Vor comes with a great deal of respect and has a complex history which you can read about here. 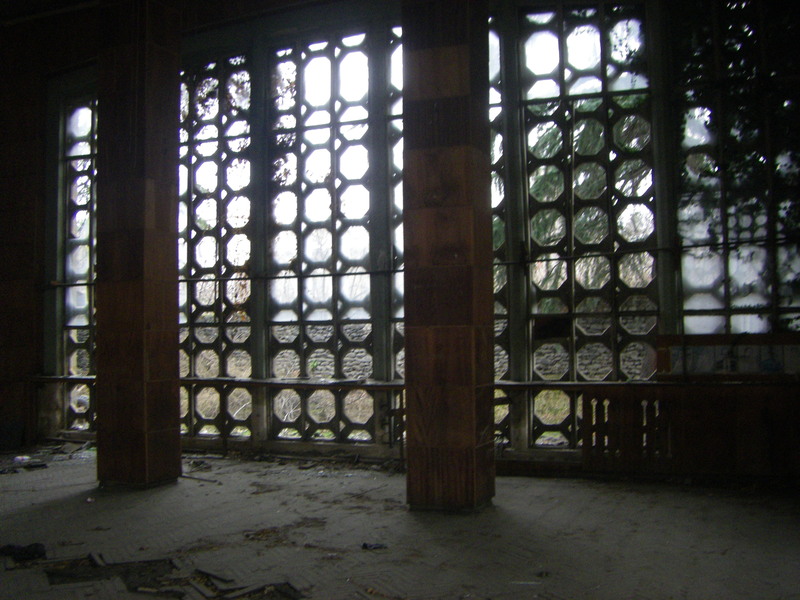 I’ve posted the recordings of both the Balalaika instrumental song and “Chechen Night” on a new site “Transcaucasianrecords.bandcamp.com.” This is a new project I’m starting; a compilation of field recordings made all around the Caucasus. I will be posting new recordings as often as I can of buskers, musicians in small towns from varying ethnic groups, and even concerts in Tbilisi. More posts to come and hopefully more tracks to add to the transcaucasianrecords site.